Oregon’s lottery has launched a major new playing option. It could trigger a far more significant expansion in the world of sports betting. The mobile app from the Oregon lottery went live in the Apple Store earlier this month and should become available to Android devices before the end of the year. Players can now scan a scratch-off, draw game and keno from their comfort of their home, according to a report from Willamette Week. Oregon is hoping this will stimulate revenues for the lottery, which is the state’s second-largest revenue source behind personal income taxes. State officials say mobile expansion is a key step to expand a tax source that contributes more than $650 million annually to state programs. Sports betting may be the next move. Lottery officials have already discussed expanding games to include a sports betting option, according to The Oregonian. Lawmakers are reportedly considering a sports betting bill and regulatory framework sometime during the 2019 legislative session, which begins in February. The state also has 11 Native American-operated casinos that could prove logical gaming partners. Gov. Kate Brown, who is running for re-election in November, is also excited about the prospect, a spokesperson told Willamette Week. 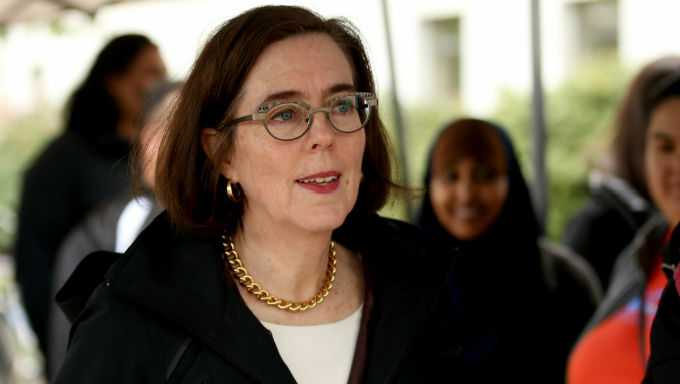 Governor Brown is open to exploring sports betting as part of the Oregon State Lottery portfolio, particularly in ways that partner with Oregon's Tribes. The future of commerce is through mobile platforms, and the lottery needs to stay relevant in that world." This makes sports betting a likely topic in Salem next year. Legislation has not been introduced, and there are multiple key issues including regulation and implementation that need to be worked out, as well as how to best incorporate the Native American groups as partners. Among those topics is online wagering, which have stalled legislatively even in some states that aggressively pushed sports betting with brick-and-mortar facilities. But in Oregon, it could be boosted by the existing mobile infrastructure from the lottery game if lawmakers approve it for sports betting. Previous sports betting efforts could give Oregon an extra boost. Oregon, along with Nevada, Montana and Delaware, were given a limited exemption under the Professional and Amateur Sports Protection Act, which placed a federal ban on sports betting in 1992. Though it didn’t have the casino infrastructure and gambling reputation as Nevada, Oregon had an exemption for “Sports Action” a parlay card game introduced in 1989 were bettors predicted the outcome of two or more NFL games. Even with a $20 max bet, the game proved successful, garnering several million dollars in wagers annually. But it outraged professional sports leagues, which deemed it as a gambling threat, as well as the NCAA. As punishment for the cards, the NCAA banned any postseason contests in the state while the game was still in existence. After nearly twenty years, the game was discontinued by lawmakers after the 2007 NFL season in part due to pressures from the sports leagues and NCAA. National attitudes toward gambling began to shift in the decade following, and when the Supreme Court struck down the federal ban earlier this year, it opened all 50 states to single-game wagering far and beyond the parlay cards. Delaware had a similar parlay card program and that experience helped lawmakers pass laws and regulations that allowed their state to become the first to take a legal single-game wager outside Nevada. The early success of Sports Action shows Oregonians also have an appetite for sports betting. With support from legislators and the state lottery board, which will likely oversee sports betting regulations, Oregon bettors could have more options than ever before to place a bet. Oregon may also attract bettors from other western states. While the Mid-Atlantic, New England and Midwestern regions of the country pursue legal sports betting, the west has largely ignored the new opportunity. With the notable exception of Nevada, few states west of the Mississippi River have seriously considered sports betting. Washington, which shares many cultural and economic ties with northern Oregon and the greater Portland region, has not shown any indication it will take up a legal sports betting bill. It is one of the few states that explicitly bans daily fantasy sites. To the south, California has shown a greater propensity for sports betting acceptance, but there are still multiple hurdles it will need to cross before it even addresses the topic in Sacramento. The state constitution explicitly bans sports betting and fledgling efforts for a ballot measure for a constitutional amendment are realistically years away from fruition. Other western states like Arizona, New Mexico, Idaho and even Montana, which had a limited sports betting exemption of its own, are similarly disinterested. That attitude might shift when the western state’s respective legislatures reconvene next year and as more states take up bills of their own. In the meantime, Oregon’s previous foray into sports betting and supportive attitudes from lawmakers mean it could be a pioneer in the region on a new revenue opportunity. Is Cahill Beating O’Sullivan Snooker’s Biggest Ever Upset?